You know, I have a lot of yarn in my stash. A lot of pretty yarn. A lot of good yarn. A lot of special yarn. And yet, I’ve never really shared it with you all here. I don’t know why that is. So i think starting today, weekly, I will give you a little glimpse into my stash. Maybe highlighting my lovely yarns will cause me to knit them. Maybe it will quench my shopping thirst. or maybe it will make me want to buy even more yarn to show off. 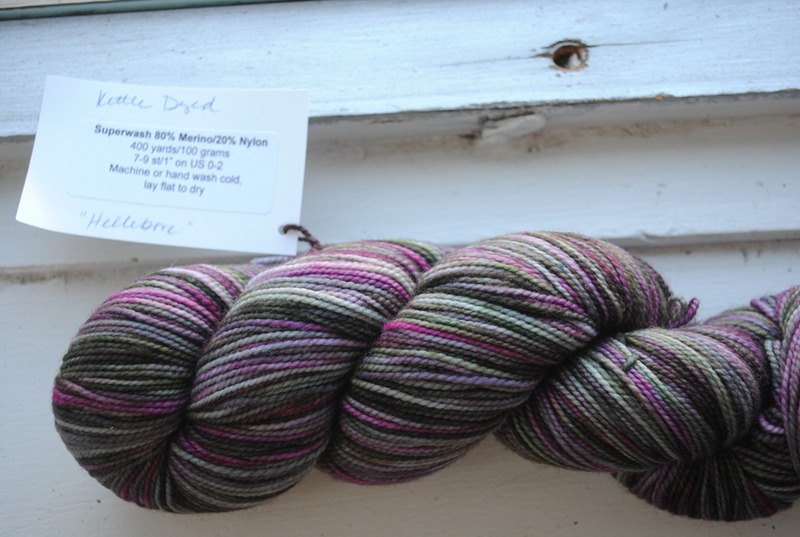 Today I am highlighting a skein of yarn I recently purchased from a dyer on etsy. Etsy.com is one of my favourite places to buy cool skeins of yarn. This one is no exception, it’s so pretty! 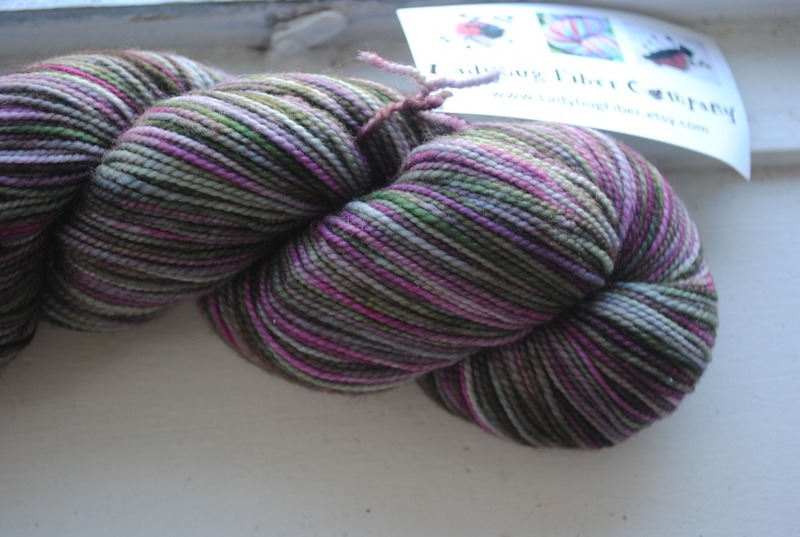 I heard about Ladybug Fiber Company through the knitgirllls, a video podcast I sometimes watch (I have much more time for audio casts). They are sponsored by them and have a coupon code to use as well. I decided to check it out and fell in love. You should probably check them out too. They don’t have anymore of this colorway but they do have some pretty snazzy stuff right now. 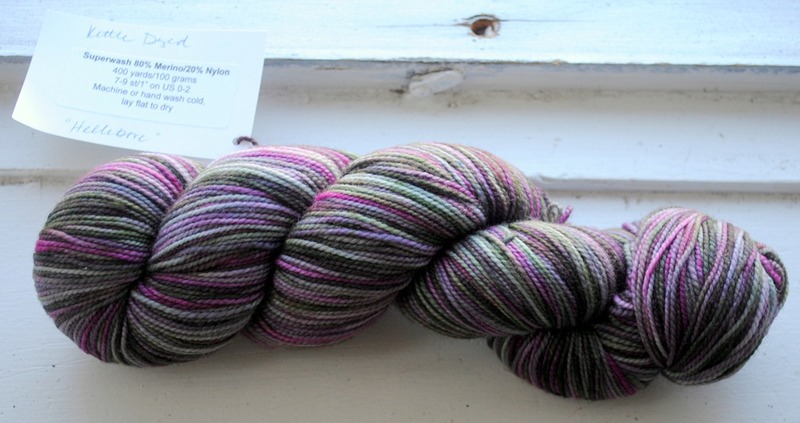 I accidentally just fell in love with self striping “Narcissus”. Must. resist. temptation. It looks different than I expected but I adore it. I have a project all planned out for this sucker too. Harvest Dew socks by Rose Hiver. I love the pattern and guess what, it’s free! 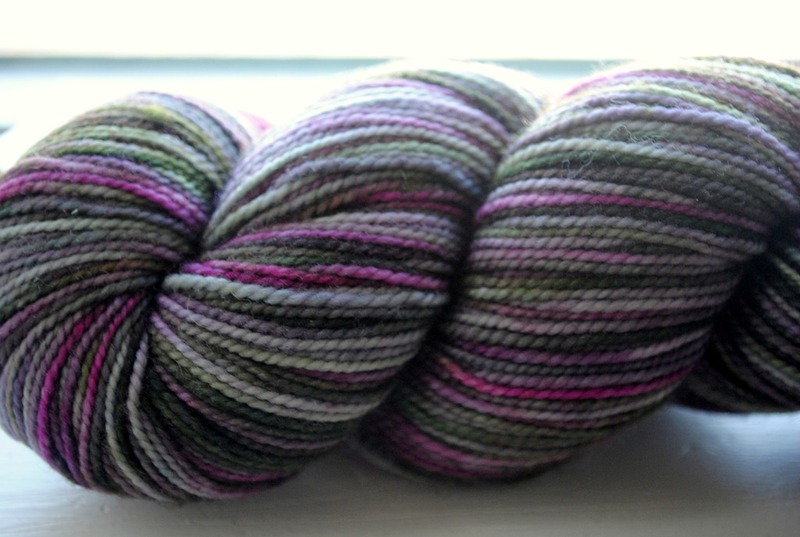 I think the variegated colors of this yarn will look great in it…at least I hope so! I like that the designer is from Quebec too, I always like seeing amazing designs from fellow Canadians 🙂 Luckily there’s tons of talent from here, and everywhere else too!